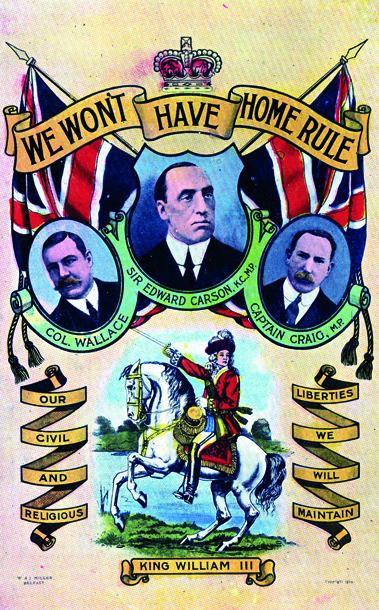 Unionist Anti Home Rule Poster. 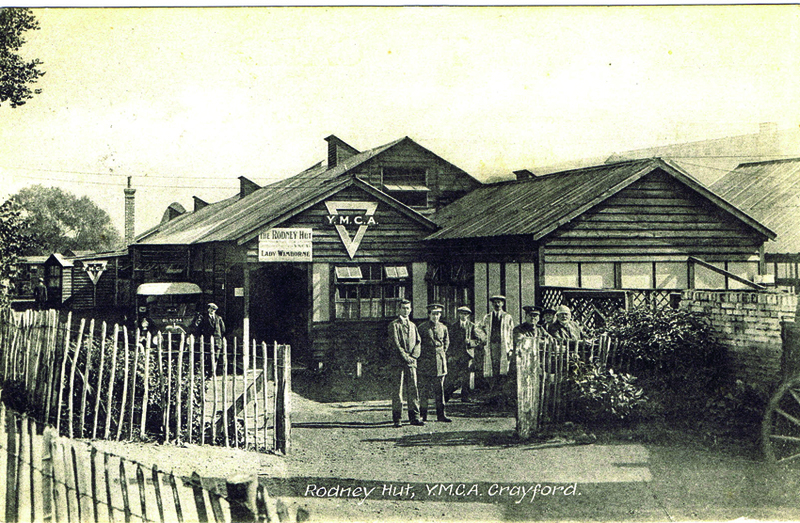 Rodney Hut, YMCA Crayford, c. 1916. 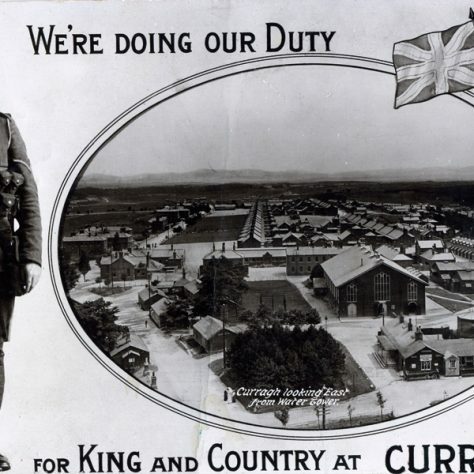 "We're doing our duty for King and country at Curragh"
Private White – the nickname ‘Chalky’ was inevitable – began his military service with the Manchester regiment in Ulster before being transferred within a few weeks to A Company, 1st Battalion, The Buffs. 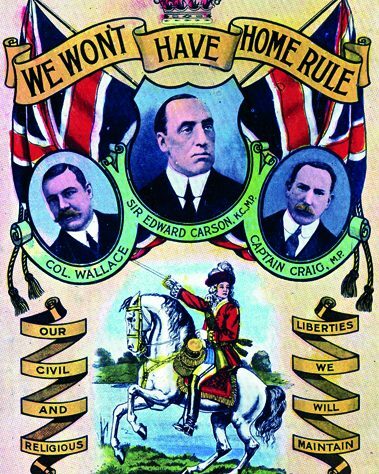 He was posted to Dublin in 1911 where he encountered the intense popular agitation for Home Rule among Irish Nationalists. 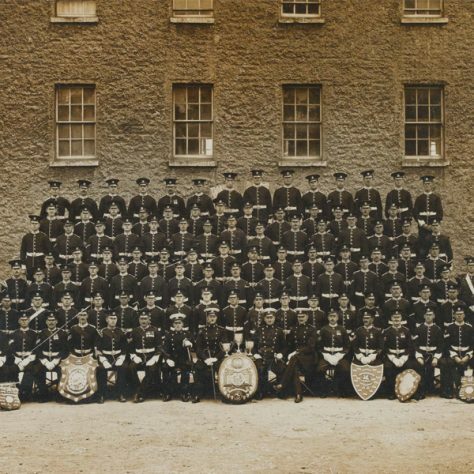 White also witnessed the other side of the political coin after he was dispatched with the 1/Buffs to Belfast in February 1912 as part of a protection force for Winston Churchill, then visiting the city as First Lord of the Admiralty. He witnessed equally passionate anti-Home Rule sentiment among Unionist workers from Belfast’s Harland and Wolff Shipyard, where the new White Star liner Titanic had been recently constructed and launched. Chalky White must have mused over his own Irish ancestry as an Irish civil war brewed. 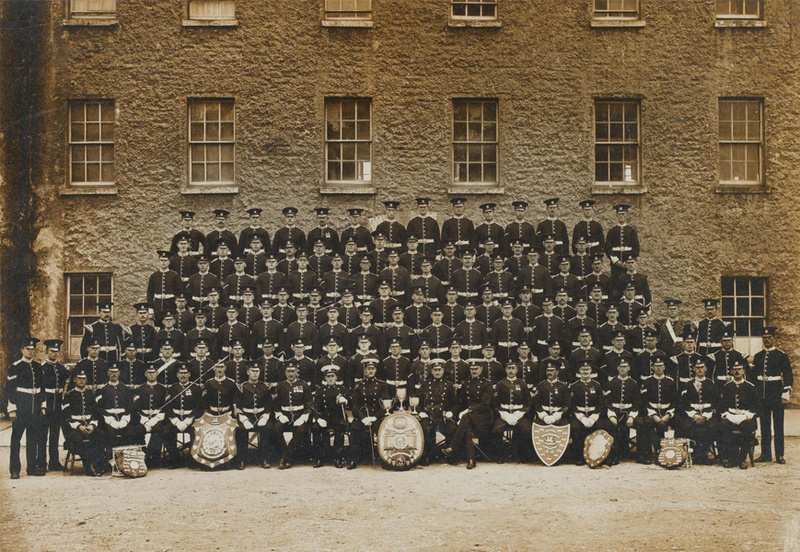 Just when things reached boiling point in Ireland Chalky was selected for the draft and was sent by troopship to India in January 1914. White must have been excited by this three week voyage, which must have been the realisation of his boyhood dreams, the journey of a lifetime and an opportunity for endless on-board gambling. Passing the Rock of Gibraltar and Port Said in Egypt, White’s ship steamed through the Suez Canal. 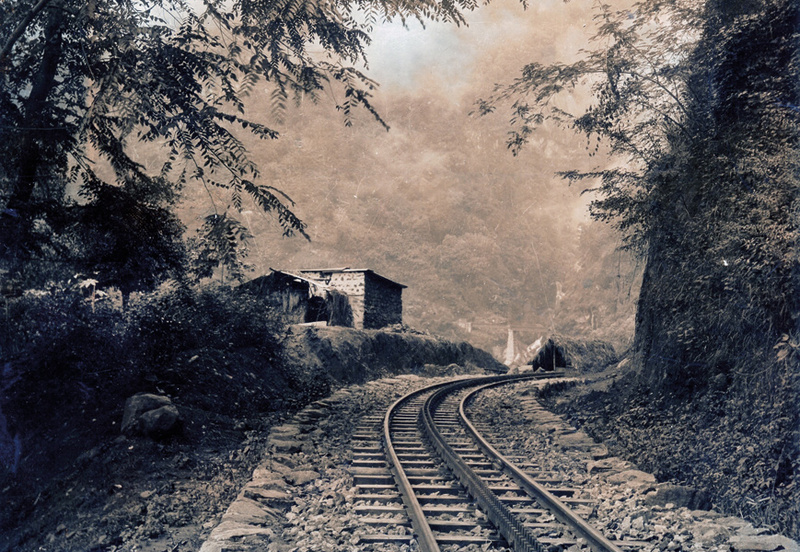 It was an experience which must have stirred the spirits of the 21-year-old soldier. 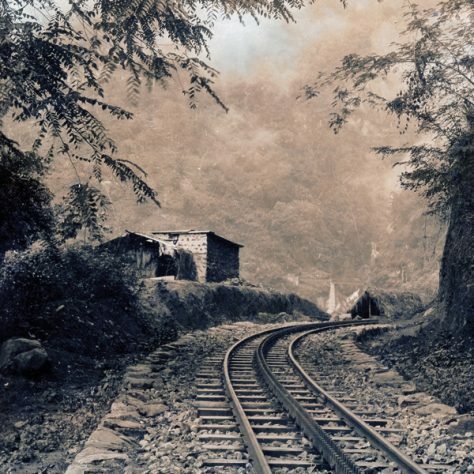 Arriving at Bombay, Private White, now posted to B Company, 2 /Buffs, was sent by troop train, via the British camp at Deolali, to the Wellington Barracks in the Nilgiri Hills, southern India. White must have been entranced by India. For a poor boy with limited experience of the world, the sights, sounds and smells of the sub-continent must have laid assault to his senses. 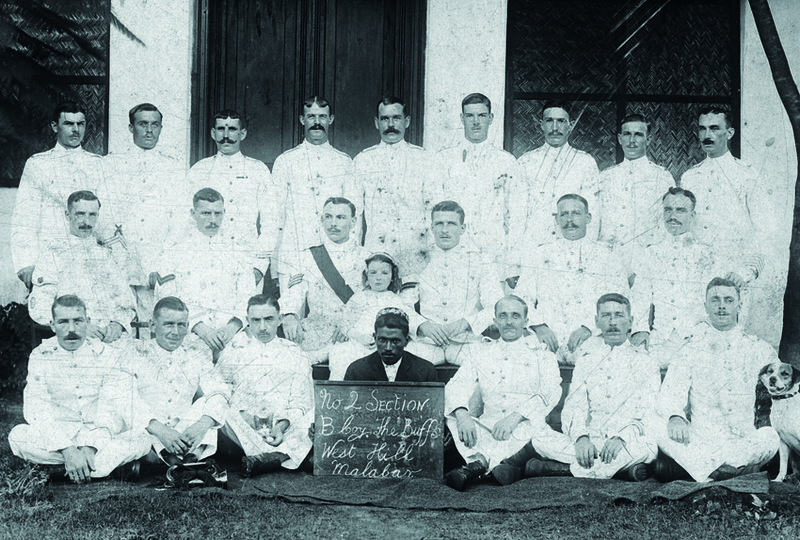 In the event, White’s expected long service as a soldier of the Raj lasted a mere six months. The Great War intervened. 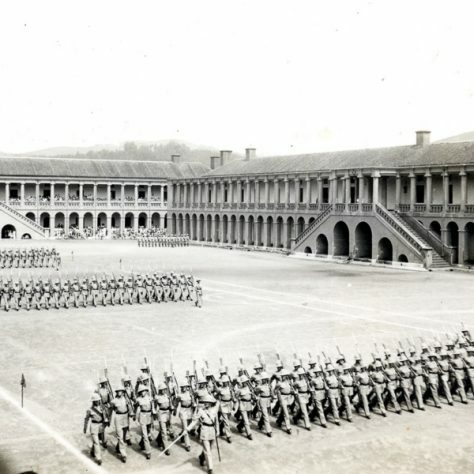 With the outbreak of war in Europe on 4 August 1914, the 2/Buffs were immediately recalled for service on the Western Front and left India on 16 November 1914. Dodging the attention of German U-Boats, the Battalion’s troopship docked at Plymouth on 23 December 1914. The 2/Buffs arrived home just as Britain was licking its wounds from her first mass casualties of the Great War. 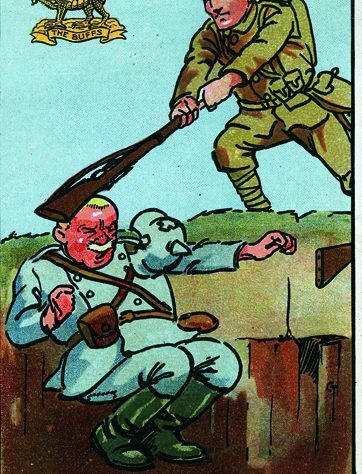 The ten divisions making up the British Expeditionary Force (BEF) in France and Flanders by October 1914 had suffered bruising losses by the end of December. By Christmas 1914 nearly 90,000 British Tommies had been lost on the Western Front. Among these were 58,000 men killed, wounded or reported missing in Flanders during the First Battle of Ypres (from 10 October – 22 December 1914). 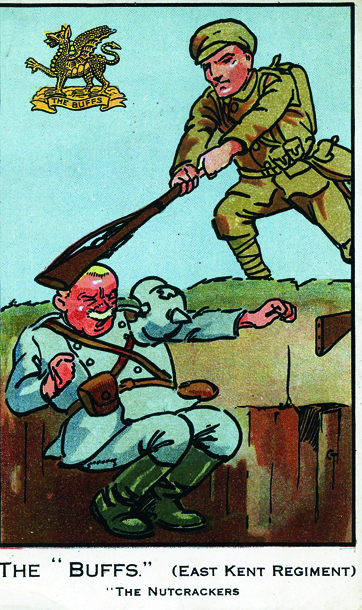 First Ypres had virtually destroyed the pre-war professional British Army. The war that both sides hoped would be over by Christmas had nearly four years to run. 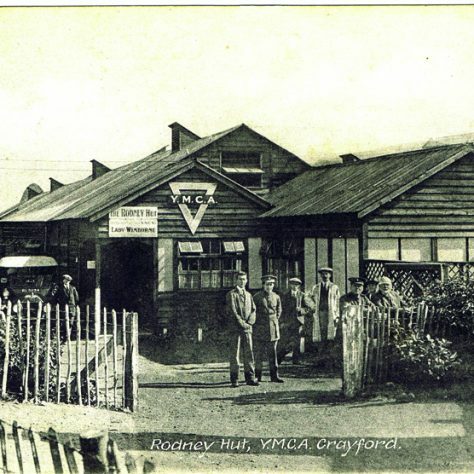 Back in Blighty, the 2 /Buffs were sent to a tented military camp outside Winchester. The history of the Buffs noted the low morale of the Buffs that Christmas 1914. Rations were meagre and living conditions were depressing under dripping canvas. 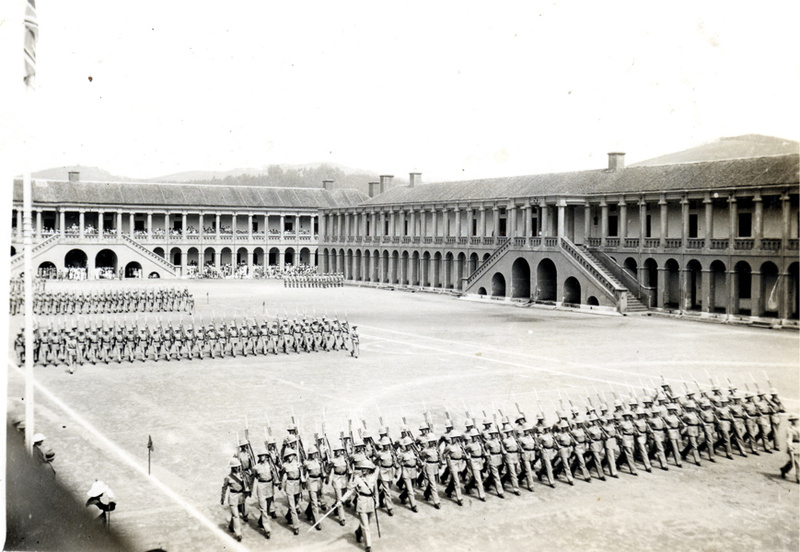 Winter gales swept through the tents and the Battalion was forced into billets in Winchester. 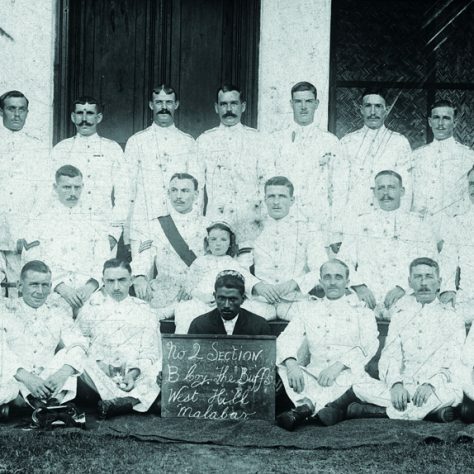 Spirits rose somewhat after the care shown by the local YMCA and after distribution of Princess Mary tins (tobacco, greeting cards and confectionery) issued to all British soldiers in a Christmas campaign headed by Princess Mary, daughter of George V and Queen Mary. But the Western Front now beckoned for the 2/Buffs. 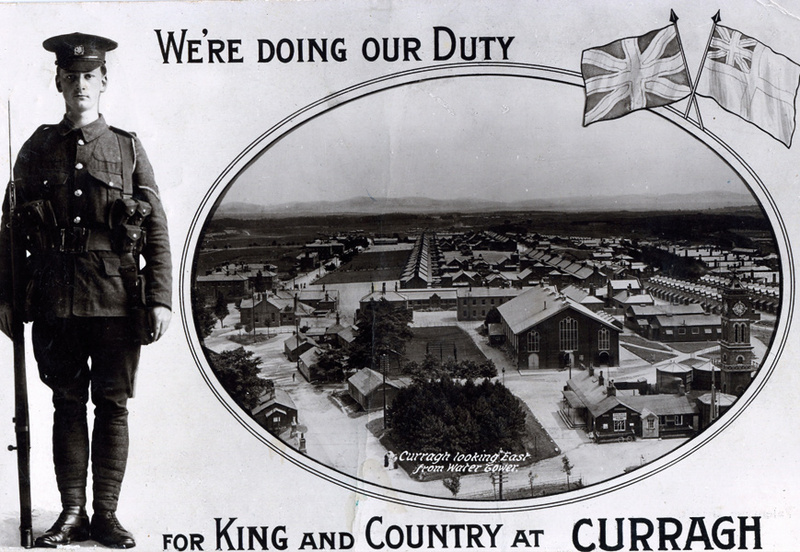 They were inspected by Lord Herbert Kitchener himself on 12 January. As ‘Old Sweats’ this Regular battalion was sent to Flanders to bolster the line after the losses of First Ypres. They were expected to set an example.